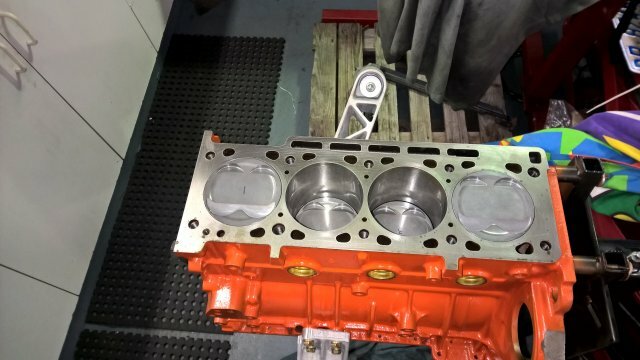 The day has come! 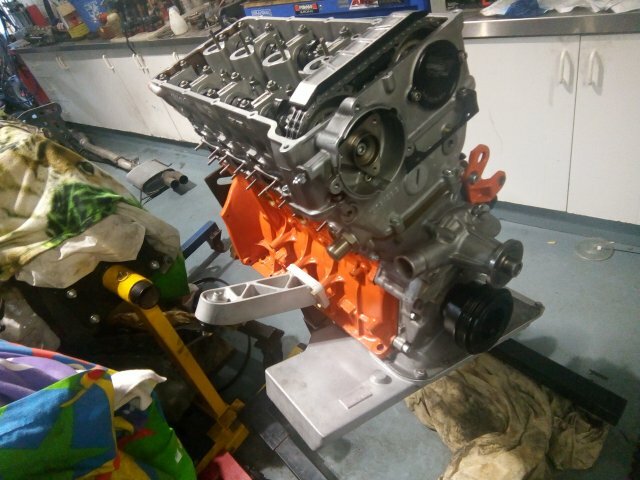 ……Yes after only 6 Seasons of thrashing, “For the love of God” from a “One Season” Motor, Vito has bit the bullet and gone for the big Donk upgrade! 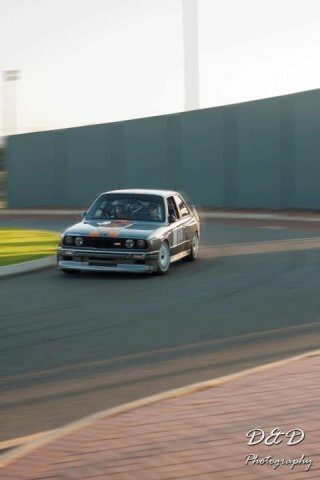 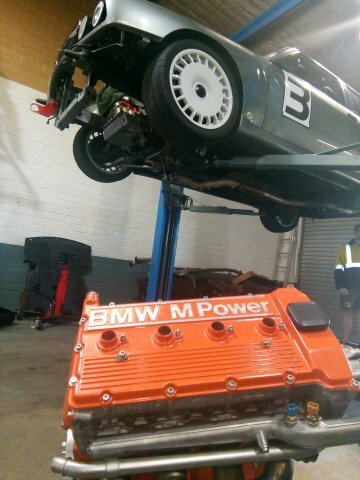 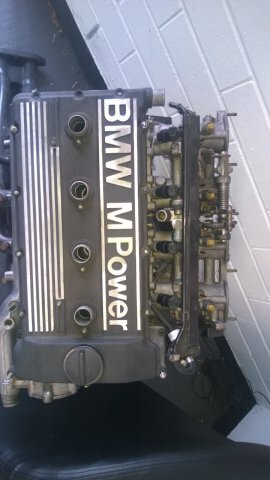 …Yes that is Aussie talk for “Large Motor”, way back when he started with the s14 campaign, after hoping out of his 300hp M6 was the understated comment needs “More Power”, well the stock 2.3 s14 200bhp got upgrades starting with a chip, to going full-on Alpha-N system with factory group-A slide block intake manifold and carbon fibre airbox, onwards to a nice Orange 2.5ltr with Wisco pistons ,284/276 deg’ schrick cams and 50/50 stainless factory Evo Extractors to a single thin-wall 3″ system, this is only the power side of Vito’s E30m3 quest ,well with sponsorship, that’s my problem ….as he will tell you! 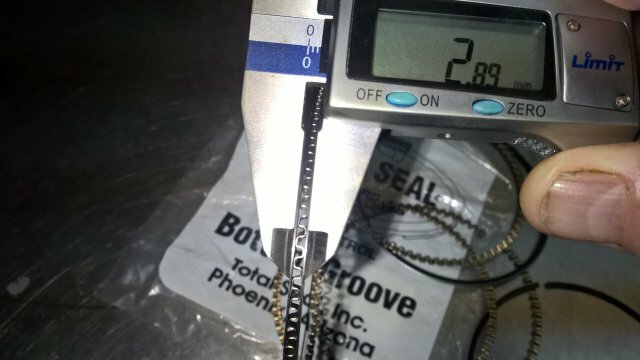 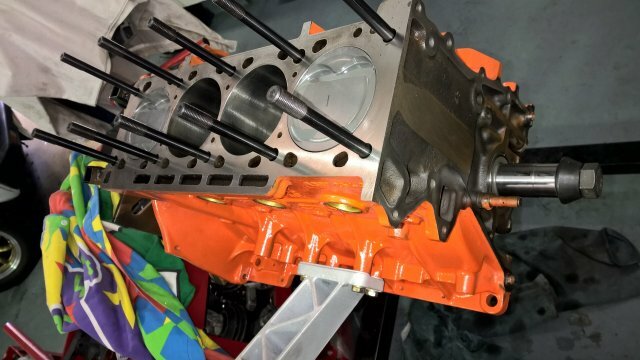 Beginning 4/2014- The strip and clean after machining, we had to relieve the inner walls of the block to let the con-rods pass by, the 2.7 crank has a very large throw! 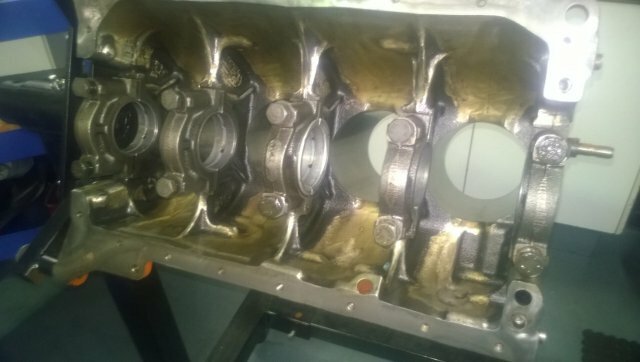 next we polished the internal surfaces to let the oil all flow down to the sump without hanging around to impede the airflow around the crank and rods(less drag!) 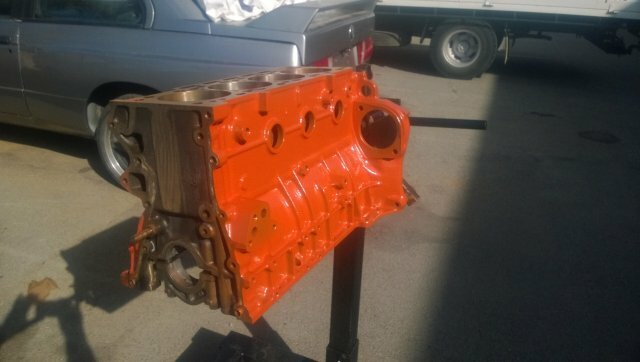 … painting of the requested “Orange” is as was the last couple of engines, then the final clean reading for assembling of crank and mains stud kit! 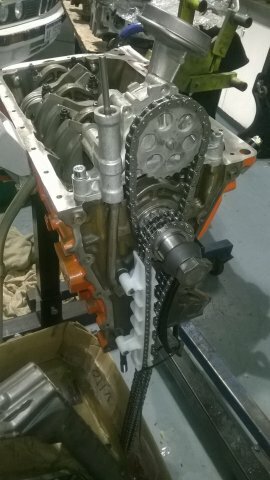 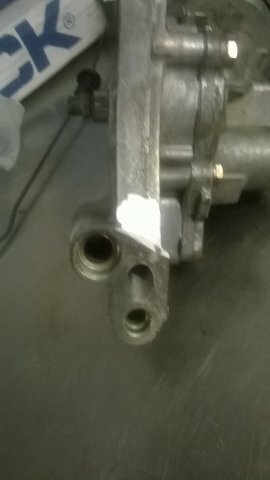 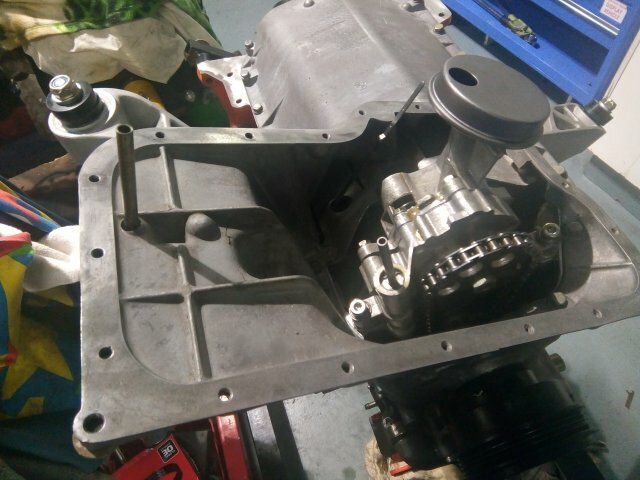 Update 6-2014- After completing the crank assembly with stud kit etc, Vito found he required a second head so not to pull his 2.5 motor apart and stop any Motorsport he might want to do, another S14 motor has purchased from us to modify!! 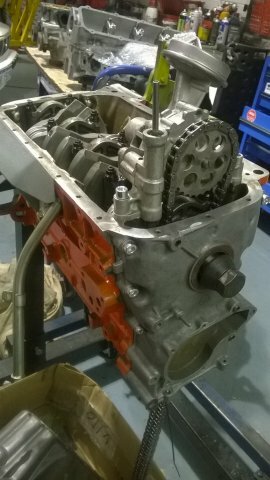 this will get the big valves, larger cams and a full porting to DTM spec’ onto the 2.7!!! 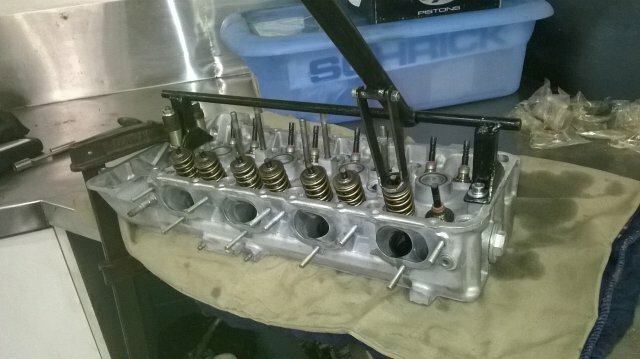 !…Now to strip the 2.3 for the head! 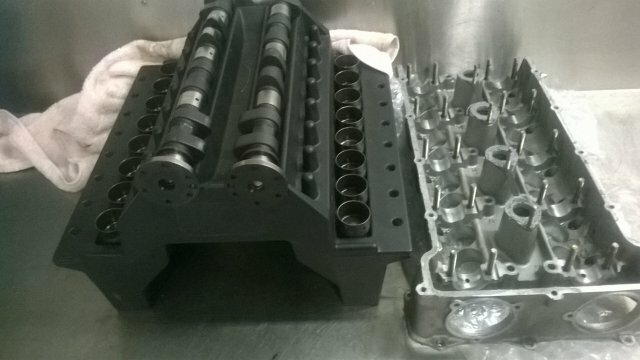 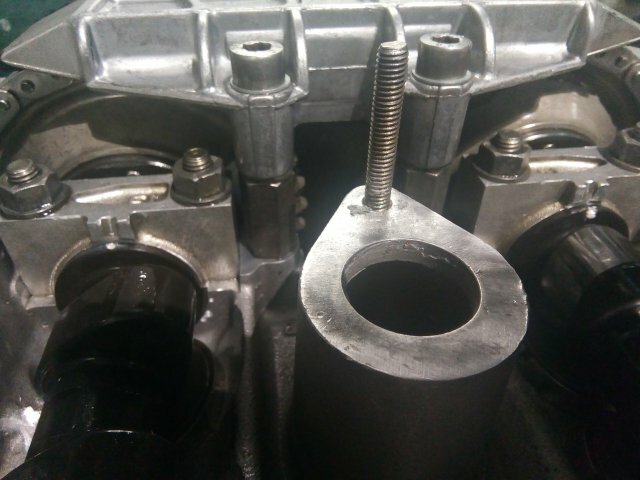 Update 11/12-2015- Bottom end done now waiting on Vito to supply special parts for the DTM head!…ok Head off to Neil at “the Motor Shop” to machine ready for reassembling!! 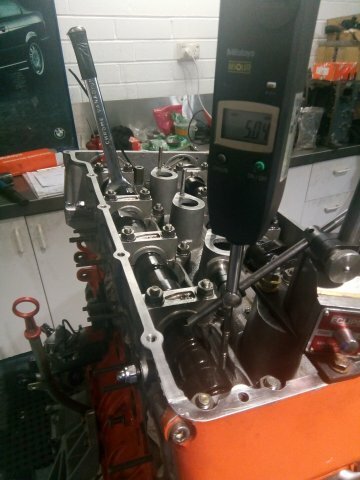 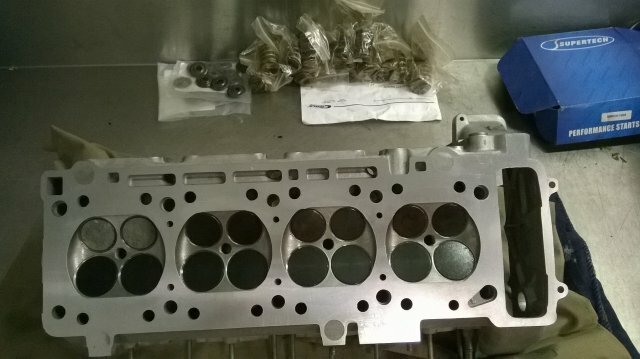 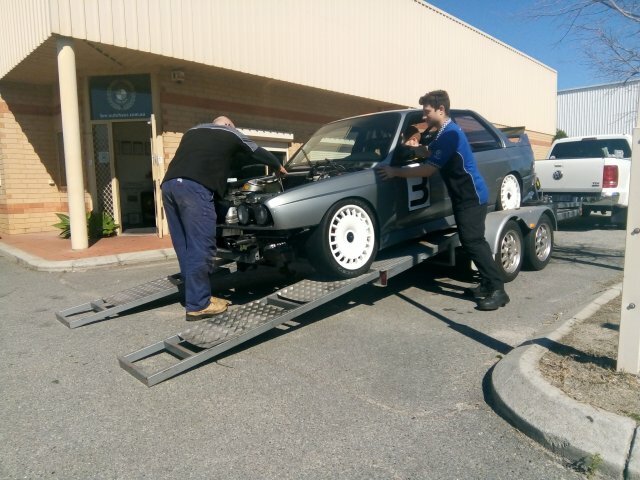 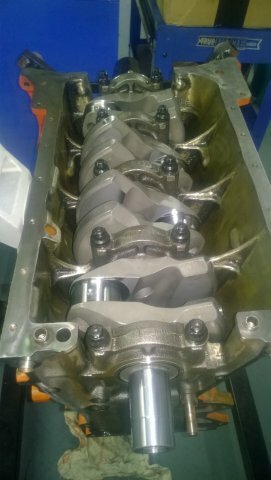 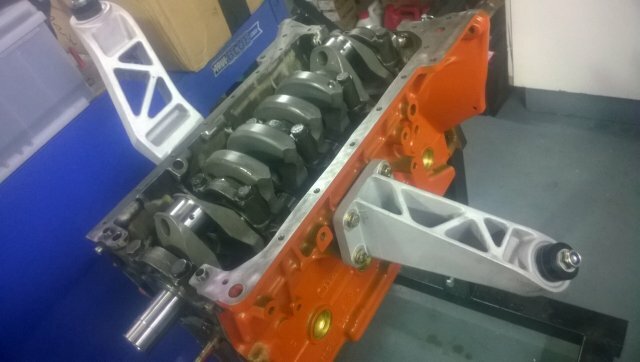 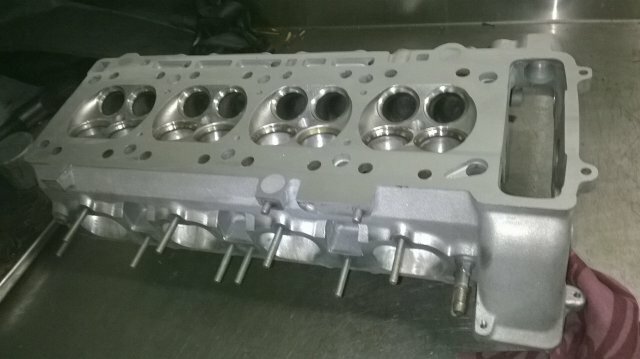 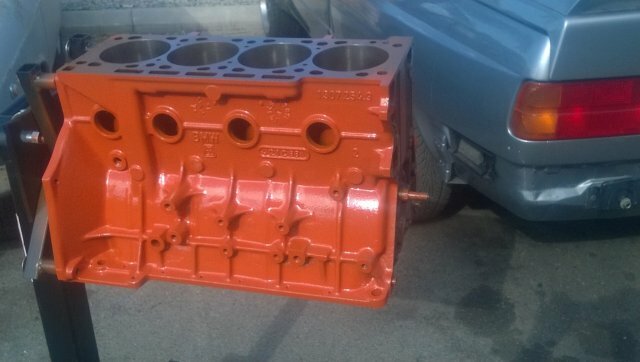 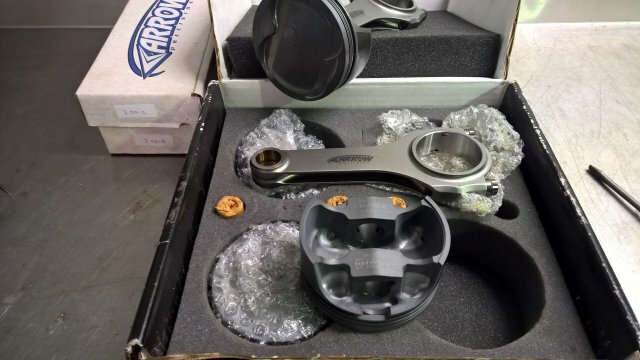 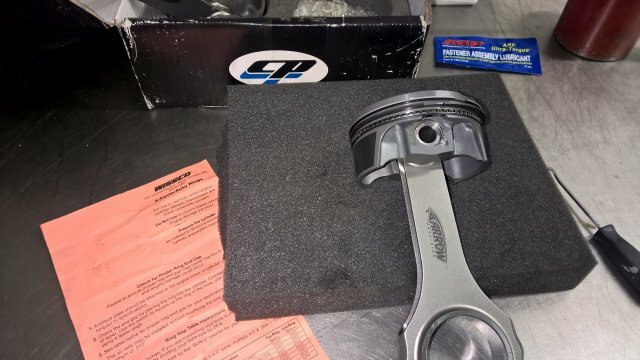 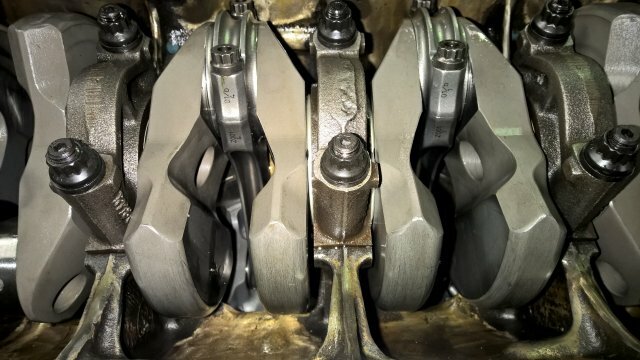 Update 7/2016 - S14 head is back from Guru Neil after new valve seats, guides and machining, parts are now in from Vito…….Time is slipping away to build it, will shut shop over xmas and do it for the Big Fella!! 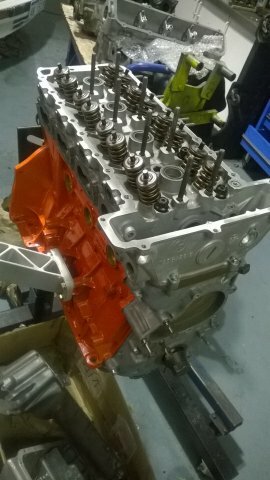 Update 6/7-2018- Back into the Mighty S14 motor build, Camshafts and buckets in ,valve shims adjusted onto to dial in the big Schrick Cams!! 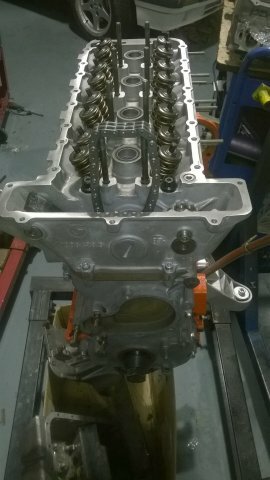 week4 – intake 5mm lift and Exhaust 4.8mm @TDC done!! 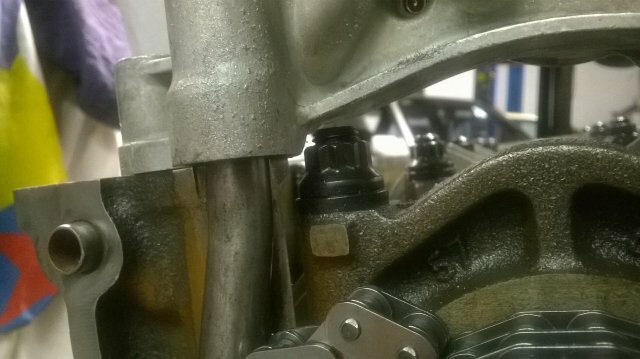 , fit Vernier cam wheels camchain and rotate to check all is correct! 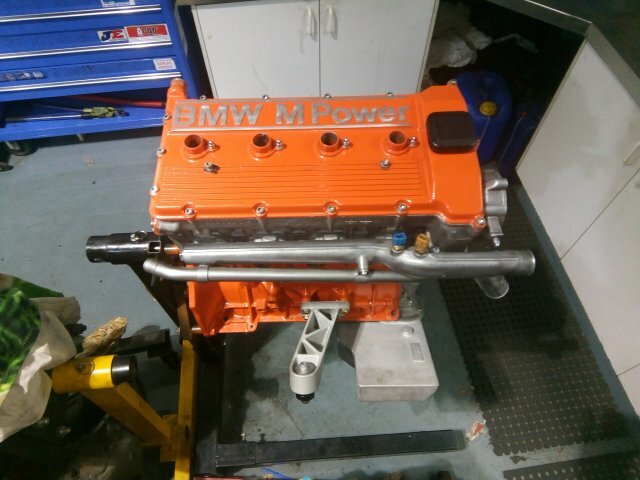 now seal motor both ends, DTM sump and Orange cam cover!